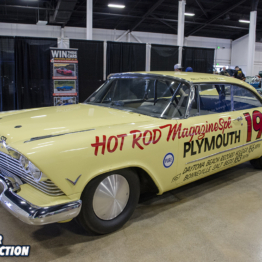 Just over a year ago, Craig Sullivan revealed to the world a very interesting ride for his 2016 race season at the Performance Racing Industry (PRI) Trade Show in Indianapolis. 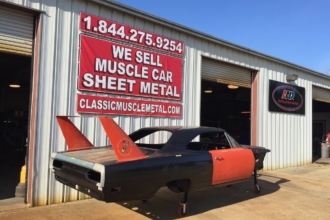 Sullivan’s new Pro Modified class doorslammer was a Roots-style supercharged 576-cubic-inch Hemi Dodge Daytona that looked like it was pulled straight out of a field. 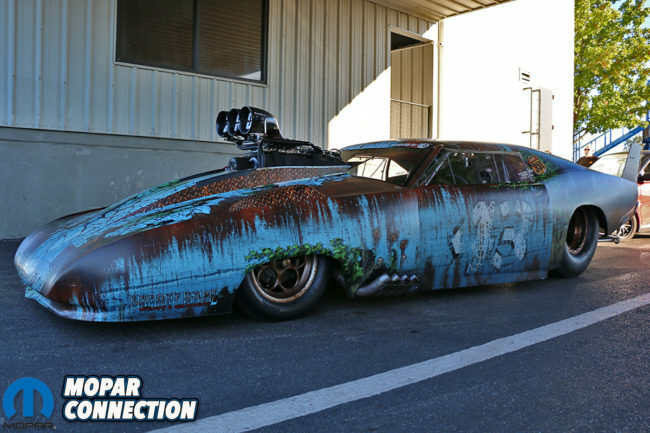 Themed to look as if Richard Petty had left his ’70 Superbird to rot in a pasture since 1971, the Daytona drew some attention for multiple reasons. Fast forward one year later and Craig has completed a season filled with PDRA, ADRL and NHRA races with the Daytona. 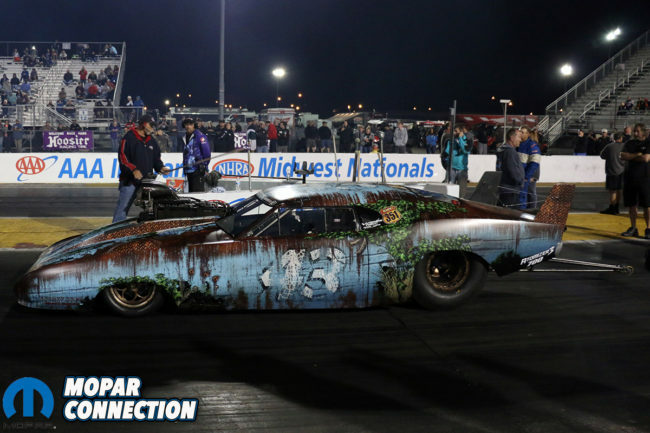 We almost missed our chance to catch Craig and the Daytona in action but we got lucky and caught them in St. Louis at their last race of the season, the ADRL Dragstock XI. After arriving at Gateway Motorsports drag strip and walking through a sea of shiny racecars, we finally stumbled onto the Daytona. There is no denying that the Daytona is astonishing in person! The mass of the Hemi and the blower that seem to stand 10-feet tall is unreal. The car was saturated in stainless, carbon, titanium and billet. The Daytona was a work of art. Once we were done gawking at the 3000-horsepower Hemi, we were able to take in the rest of the Daytona. Once you stepped closer you can see that Craig didn’t cut any corners with the barn find-themed Daytona. 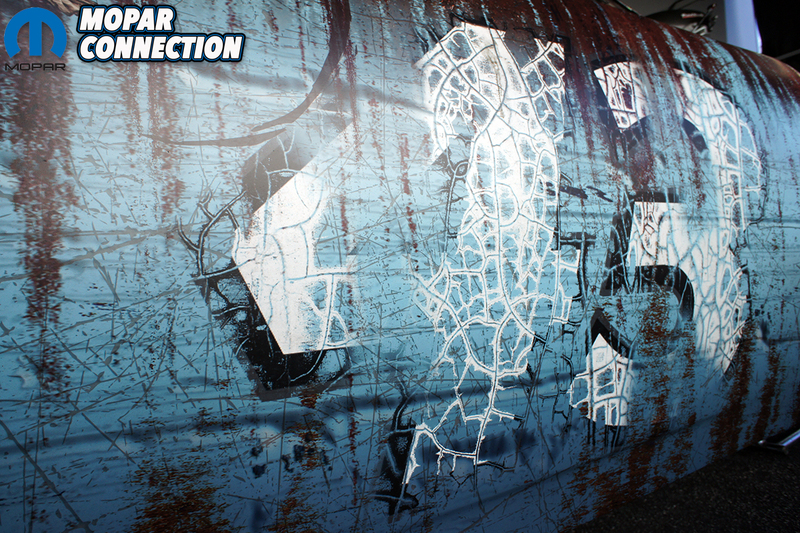 The rust and cracked paint wrap was out of this world. We chatted with Craig briefly and hung around to snap some photos of the monster. We absolutely loved the theme and think Craig hit it spot on. Sullivan is no amateur when it comes to racing and fast cars. He has been involved in motorsports since he was a teenager. 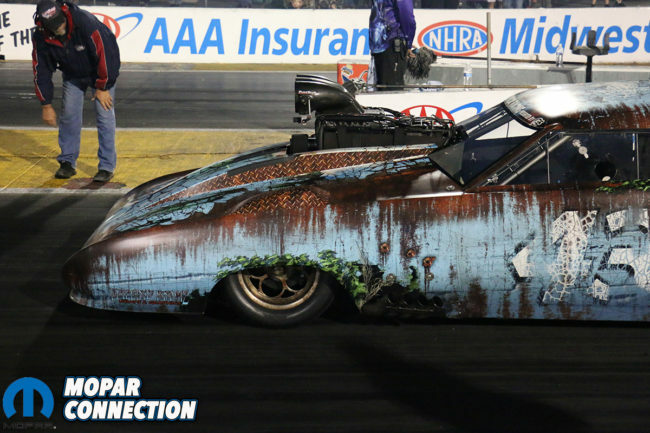 Over the years, Craig has focused on drag racing and has done quite well for himself. During the 2015 season, Craig qualified number one twice within PDRA Top Dragster category and finished third overall in the world standings. 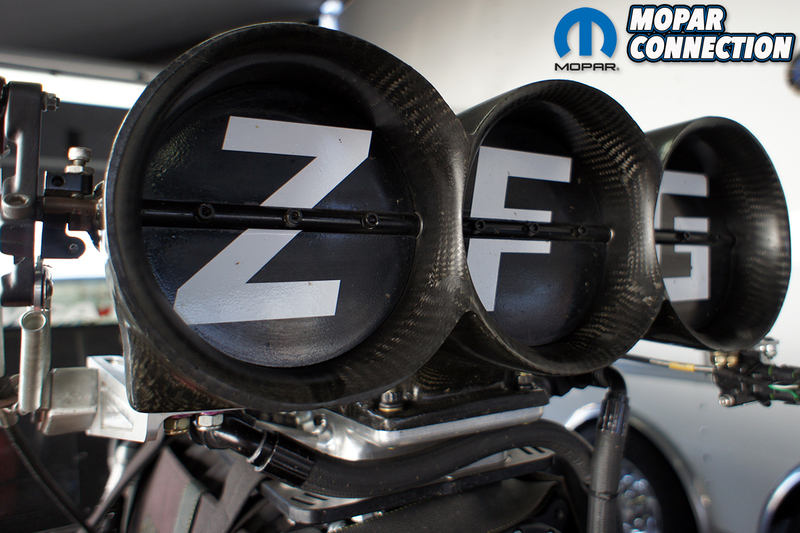 Unfortunately, this was not accomplished with a Mopar-powered dragster. 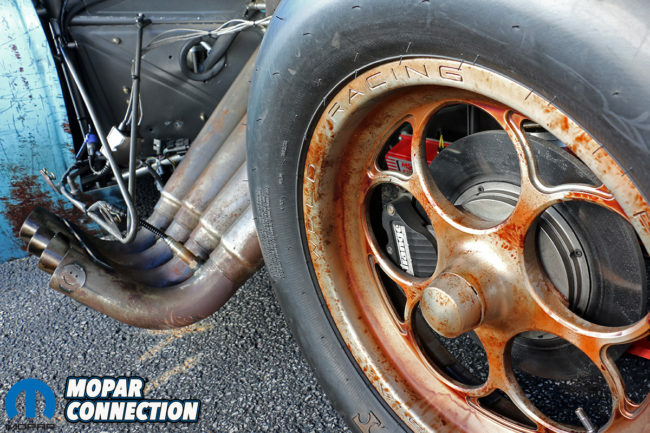 Even though the dragster is Ford powered, he does share the same pain that we Mopar enthusiasts feel when it comes to building something other than a Chevy. Craig has always enjoyed straying from the normal and that’s exactly what he accomplished with the Daytona. 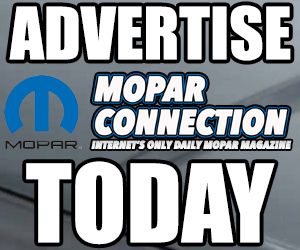 “I didn’t want just another Camaro or Mustang when I was looking for a Pro Mod car,” stated Craig. When the opportunity came to purchasing Chip King’s Daytona, Craig knew right away that this was going to be his ride. 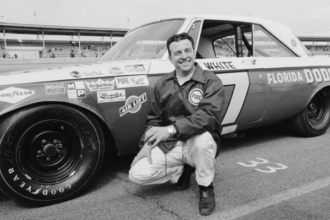 The first thing that came to mind when he was thought about the Daytona was Richard Petty’s famous winged cars. Although Petty has been known for NASCAR and not drag racing, Craig thought the theme of a vintage Petty racecar could really grab some attention. 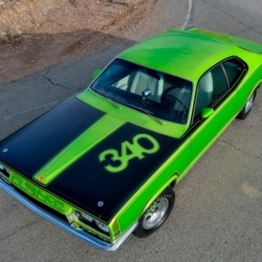 After Craig completed the purchase of the Daytona, he immediately started seeking renderings of a Petty-themed Daytona. It took a few attempts by four different companies until he found a winner. Nothing appealed to Craig quite like Kryptonite Kustomz rendering. They went out on a limb and tried something different; they designed the Daytona as if it were pulled straight out of the weeds of North Carolina. Craig was very impressed and pursued with Kryptonite’s design. While the theme of the car had been decided, Craig knew looks alone don’t win races. He was in a whole new field and needed to find sponsors if he was going to make it through the 2016 season. Craig teamed up with Derrick Beach and Beach Marketing solutions to undergo a complete rebranding of Craig Sullivan Motorsports. 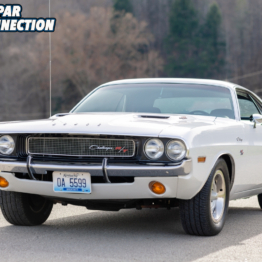 Over the years Craig has been well-known for his Ford-powered dragster but now with Craig moving into a different class and switching to a Mopar power plant, he needed to open some new doors. Craig and Derrick were successful in gathering some major sponsors to help them out the past racing season. 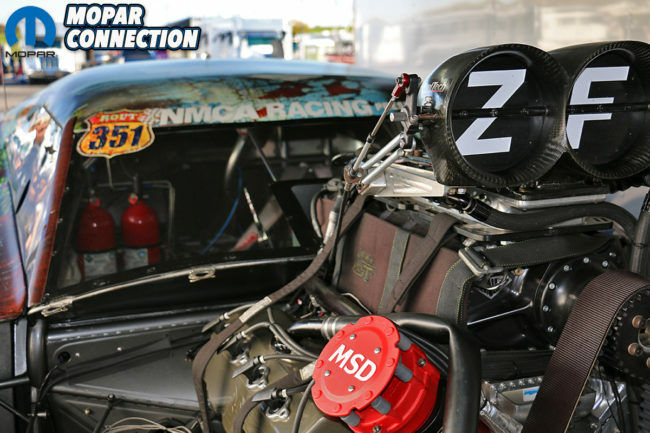 The guys at DMPE helped out with a prototype blower for Craig to use on top of the 576 Hemi. VED provided the heads that were stuffed with Manley valves and springs, and Manton rockers. 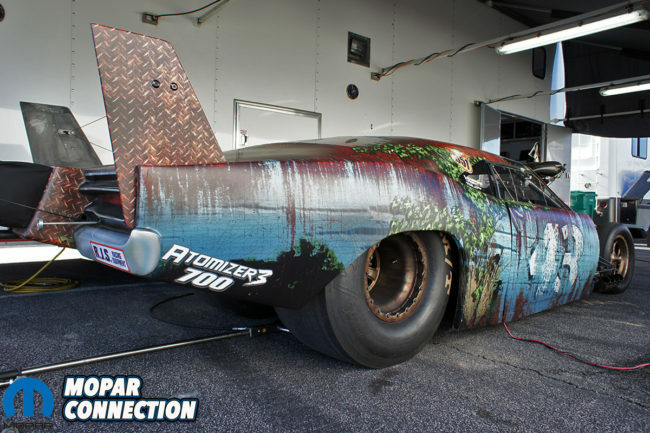 Internally, Carrillo rods, CP pistons, a Winberg 4.5-inch stroke crank and a Bullet camshaft makes the Daytona rumble. 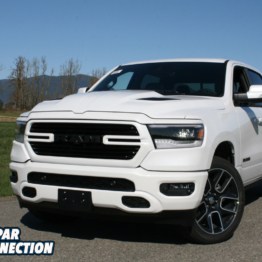 Craig is a hands-on driver and assembled the Hemi in-house with the help of a few other individuals. 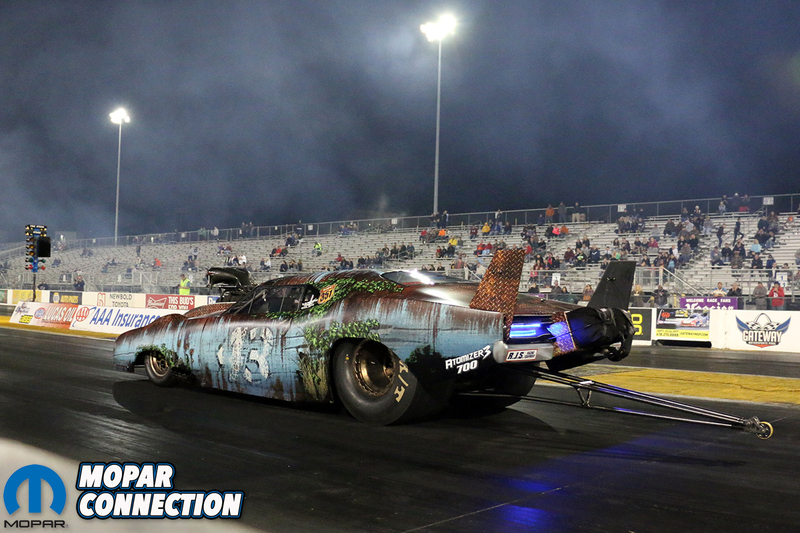 Sullivan was going to be one of only 5 guys running a blown alcohol Hemi and taming the beast wasn’t looking easy. Craig knew if anyone were going to be able to make it run, it would be the guys at Fueltech. Craig has built a great relationship with Fueltech while running their setup on his dragster. 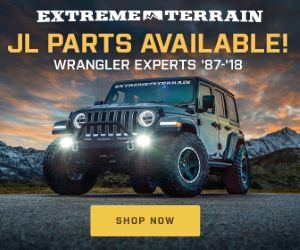 When Craig came to them with a whole new machine, they were excited for the challenge and couldn’t wait to get started. 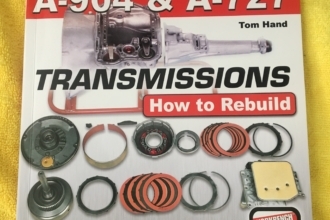 With the motor figured out, Craig knew he needed to find a transmission and rearend that could handle the Hemi’s 3,000-horsepower. 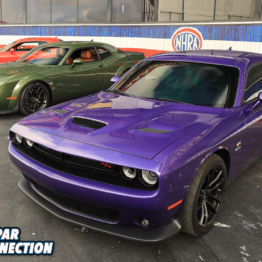 Craig and Derrick called upon M&M transmissions for their race-proven technology and success. 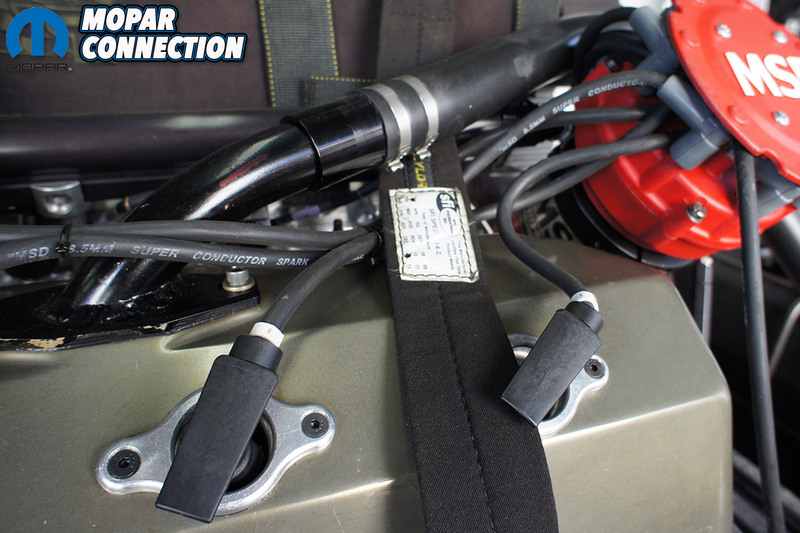 M&M designed a TH400 and converter that would effectively transfer the power to the rearend. Craig and Derrick knew exactly where to go for the rear axle assembly, Mark Williams. 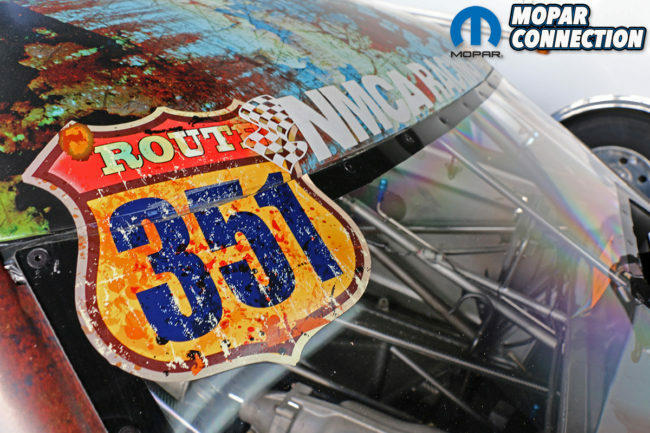 MW has been a well-known name in the racing world, everything from NASCAR to NHRA and more. 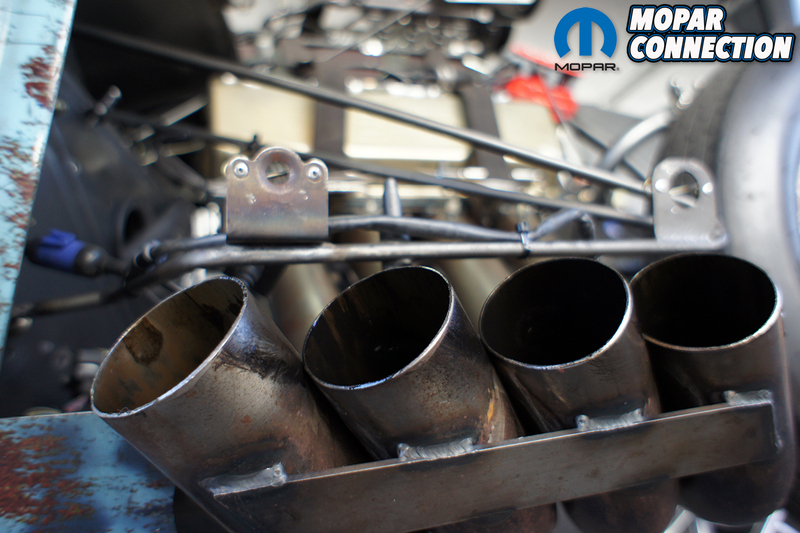 They decided to build Craig one of their custom modular 11-inch assemblies to withstand the abuse of the race season. 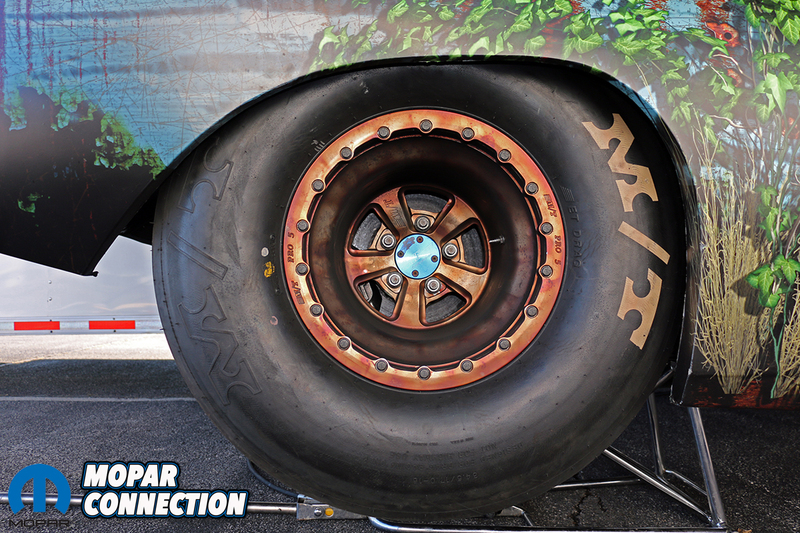 To top things off, Mickey Thompson provided the grip that Craig needed to be competitive. 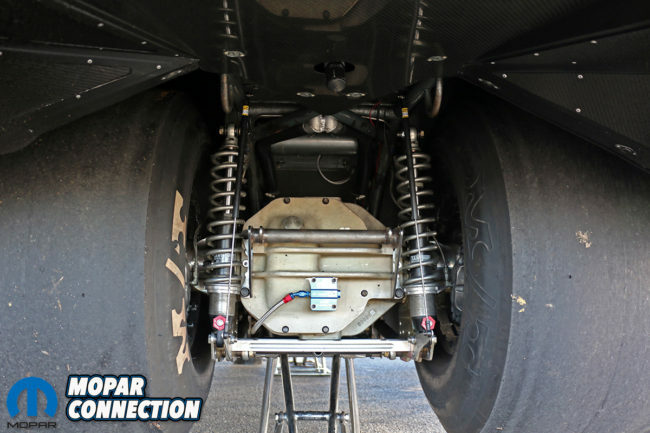 Now that Craig and Derrick gathered enough support to power the Daytona fast enough down the track, they needed to figure out how they were going to stop all 2,650 pounds. They both knew that when it came to chutes, RJS was the place to turn. 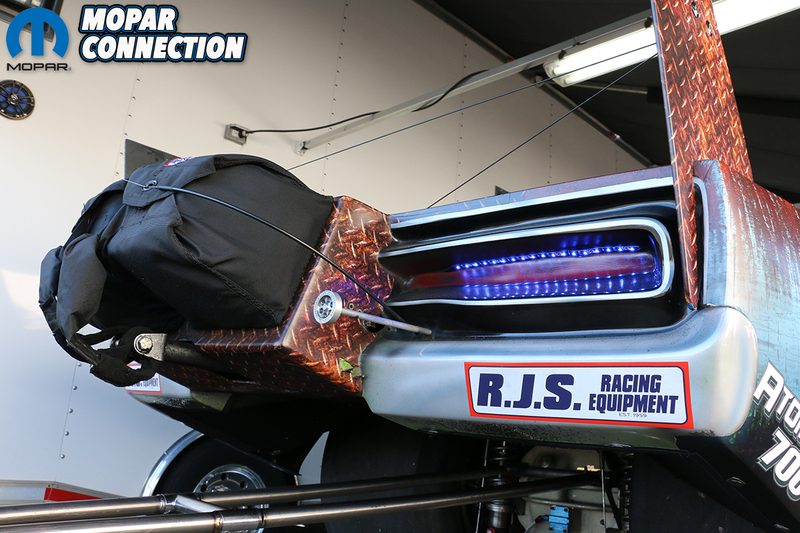 Not only did RJS set Craig up with chutes but they equipped the Daytona with their latest Pro Mod set up. 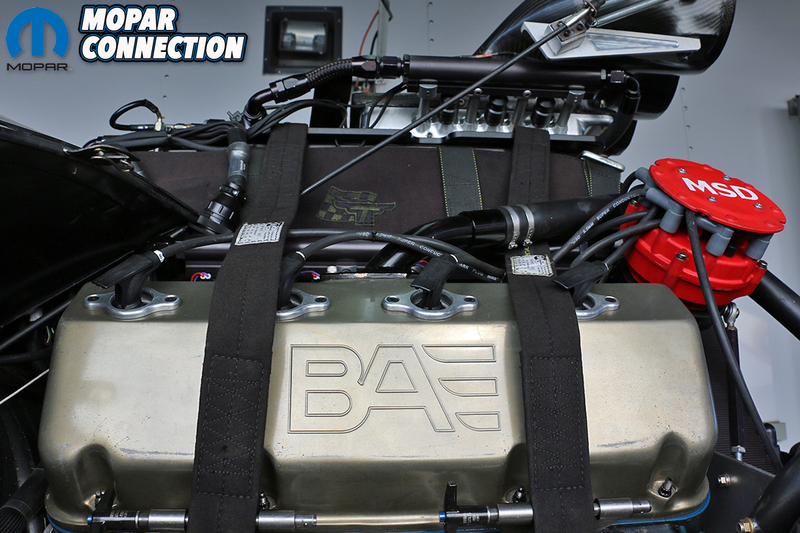 It’s no easy task stopping a 2000-plus-pound car running at speeds in excess of 200mph. After gathering all of the sponsors and getting the Daytona prepared for the race season, Craig was off to ruffle some feathers in the PDRA, ADRL and NHRA. The season did not turn out as well as the Craig and his teamed hoped for but they did very well for the obstacles they encountered. 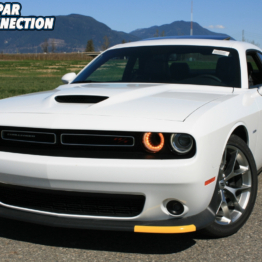 They had some trouble getting the Hemi tuned just right and a few other minor issues. Stepping up to the Pro Mod field, tuning an uncommon motor and familiarizing yourself with a whole new car is a lot to endeavor in one year. Things could have gone a lot worse and the team is grateful that the car is still together and they know they have some work to do in the off-season. Craig told us that in preparation for the 2017 season he will be working on adjusting fit and finish of the wrap, tidying up some wiring and some tweaking on the motor, which includes some new heads from VED. 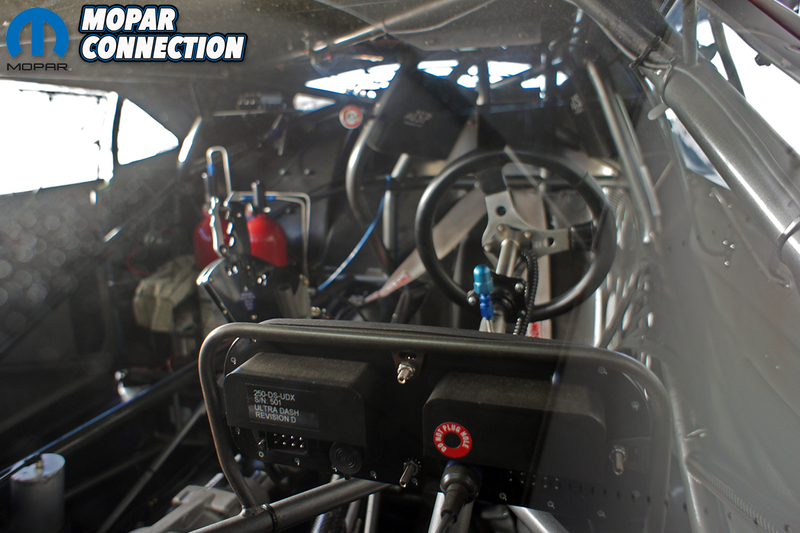 We look forward to big things from the Sullivan Racing team and hope to see them destroying the competition.